Crazy Domestic: Love It or Lose It- A Challenge for Everyone! 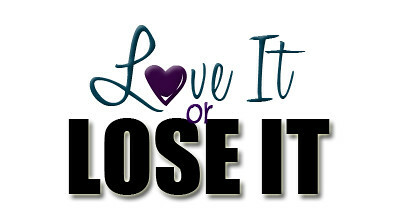 Love It or Lose It- A Challenge for Everyone! Let me take a moment to introduce myself! I'm Katie P, from Food, Wine, & Mod Podge. I live in the bitter cold depths of Chicago with my hubby and my kitty. When I'm not at work, I'm always crafting and cooking, often with a glass of wine in hand. But this month, I'm straying a bit from my three loves to share a little challenge with all of you! First, I’d like to get something off my chest: When I get ready in the mornings, I look in my closet and think, "I have nothing to wear!" yet my closet is full! I have a lot of clothes... seriously. I actually make my husband keep his clothes in the second bedroom. He does it without complaint and I love him for it. A couple times a year, I do try to clean it out and get rid of things that I don't like or don't fit anymore, and I donate them to charity. But every time I do this, I catch myself still holding onto plenty of items that I don't wear often. So I came up with a plan: Each day I am going to wear 1 article of clothing that for some reason I won't part with. At the end of that day, I will decide either that I love it and can't imagine having gone so long without it, or I will lose it and donate it to charity. And it occurred to me that I might not be the only one who hangs on to unworn clothes, so that’s where I turn to you, blogging ladies! For the month of January, I challenge you all to join me! Start by going into your closet and pulling out all the items you are certain you want to donate, to get them out of the way. 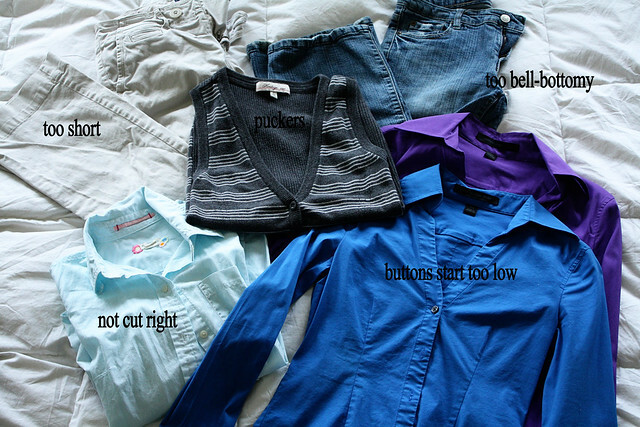 Next, pick out some items that you haven't worn in a while, but that still fit and are in good shape. In other words, don't pick out the leather pants you used to wear in college but hang on to for sentimental reasons. Pick out things like that wool sweater you remember being unflattering but is in good shape so you keep it anyway. Or that shirt you used to love but the last time you wore it, you remember it feeling a little short, so you haven’t put it on since. This challenge will run for four weeks, so make sure you pick enough items to be impactful, but not so many that there's no way you'll make it through them all. I decided on 9 pieces: some that are good for work, some that are good for the weekend. On Wednesday, January 4th, we'll meet right here on Crazy Domestic and link up our posts on how we did for week 1- we will see what everyone wore and what is being kept and what is being donated. We'll do this each week for four weeks, and at the end of the challenge we can tally up how many items are getting a second chance at life, and how many we all donated to charity! So who's with me on this? I can't wait to meet up next week to see how your first week went! ...now, if you'll excuse me, I have a complicated relationship with a cardigan to work out. Sounds like fun! I am thinking about going in my closet right now and choose some things... a lot of my clothes are "waiting" to be paired with something else... hmm... lol. Thanks for the challenge! great challenge. I like how you put it into a small, attainable goal. awesome challenge. i really need to do this since i no longer need the maternity clothes in my drawers. why is it so hard to get rid of certain clothes?!?! I keep my closet *pretty* organized, but I think there are a few things in there that can go...I'll go look. This is great! I have tried to do this before, but I just haven't done it. I like the way you are doing it. Thanks! Great plan. I've been doing this off and on, more off, throughout this past year. 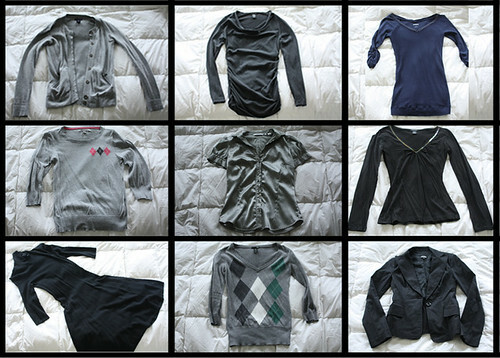 Just before Christmas, I tossed a ton of clothes, with the idea of adding some new ones with the after-Christmas sales. Saddly, I am all shopped out and have no desire to even look at new clothes. Still, I am inclined to do this challenge because I have a few items left I need to really consider why they are still there. My daughter will be very happy to see some of these things go! See you all next Wednesday. I think this is FANTASTIC and we all need to do it more often! Great challenge!